This year I’ll be attending my fourth South By Southwest (SXSW) Interactive festival in wonderfully weird Austin, Texas. 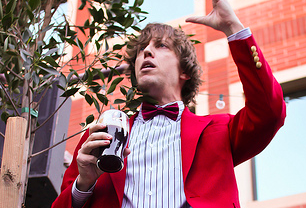 If you’re not familiar with it, SXSW is an enormous festival with three parts: Music, Film, and Interactive. I would love to attend all three, but usually go just for the Interactive piece. This is where you will find some of the most interesting developments in technology, social media, and crazy startups. Twitter got its start at SXSW, as did Foursquare and several other game changing applications. SXSW has become ludicrously large, and innundated with big companies trying to make their mark, but I still love the thing. For me, even if the tech/social media/interactive excitement has gone mainstream, I would still go for the people, connections, and discovery. South by Southwest is an incredible place to learn and expand your horizons if you’re willing to put in some effort. Several friends of mine are going to SXSW for the first time and asked me for tips on managing the chaos. I’m not sure I’ve really puzzled out this crazy event myself, but I’m happy to share what I’ve learned so far. Plan to be on the run constantly – And by constantly, I mean it. Constantly. Take comfy shoes, and pack light. This includes your electronics. Don’t take every gadget you own, just the ones you will use regularly. If you can, double up. For example, don’t take a separate video camera if your smartphone can shoot video (just learn how to use it). Take a purse or messenger bag that holds all your stuff because you’ll get sick of carrying it in your hands all day. Bring backup batteries and cables – I’m a gadget geek all year round but I never… ever… use my electronics as much as when I’m at SXSW. A few years ago I bought two iPhone rechargers to take with, and this year I think I’ll upgrade to a full USB charging device to keep with me. Power outlets and charging stations can be tough to find, so juice up when you can! Review the schedule and sessions in advance – Use the official SXSW scheduling tool, or the Sched.org SXSW app, but get an idea of what you want to attend before you get there. It can be tricky to plan on the fly, so get it sorted out in advance. Know other people going? Check out their schedules in the tool, then download an app to your phone or add them to your calendar. You can’t do it all – I heard that warning 100 times leading up to SXSW and it was absolutely true. Just pick what you’re going to do and commit. This is doubly true for the after hours events (a.k.a. parties). Even with your handy schedule there will be some (maybe many) meetups or panels you will wish you had seen. Accept it. Work + Play = Ugh – I was doing some work related stuff while I was at SXSW my first year, and it was a big mistake. Going for Work or going for Me would have each been fine, but doing both just got really frustrating. Decide why you’re going, what you want to accomplish. and don’t clutter it up. People trump Panels – This might be the #1 piece of advice I can give you. If you have a chance to meet someone new in a hallway conversation or join a cool group of people for a beer, ditch any panel you had planned and do it. The connections you make with people in small groups are the best thing about SXSW. In four years of going I can name about six panels that significantly changed my outlook or business, but I can name great people I’ve met there all day long and well into tomorrow. Best part of the panels is afterwards – Related to the above, panels are more than good info – they’re a place to connect with people who share an interest. Stick around for a while after a panel to talk with the panelists or people in the crowd who are discussing what just happened. Support your hometown – Maybe this is just a personal thing, but I try to attend every panel where someone from Phoenix was speaking. Support! Write on business cards – People will give you business cards for a million reasons. If it is someone you want to connect with later, write down Why on their card right then and there. Otherwise you will come back with a wad of cards the size of a baseball and be unable to remember who you want to follow-up with and why. Meet your Friends, hang with Strangers – Phoenix is usually well represented at SXSW, and it’s great running into the local crew, but I can see many of them 360 other days of the year. If you connect with someone new, hang out with them for a while, meet their friends, and work out from there. No Fear – On a related note, don’t be shy to talk to people. Step outside your comfort zone if necessary, and just do it. I’m not a shy person so this isn’t a problem with me, but I met several people who were nervous or downright afraid to talk to someone they liked or admired online. If they sucked it up and took a risk, they were almost always happy. Just be honest and considerate of what other people are doing and you’ll have some great encounters. Parties are Overrated – Some were fun, most were not. My first year I wasted a lot of time trying to chase the “best” ones and hop all over town. Now my strategy is to pick one or two parties at most and just hang out and enjoy it. BLACHOOOO! – There is something called “SXSW SARS”, which is what happens when thousands of people gather at SXSW from all over the world, swap germs, then head home. I have a strong immune system and rarely get sick, but I still try to take extra vitamins and wash my hands like a fiend. Be aware that you may come home not only exhausted but feeling a little ill. If you can, schedule a day or two off work for when you get back. You may need it. 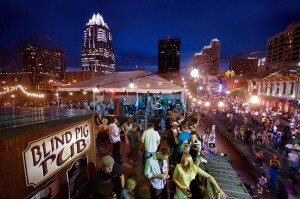 Explore Austin – Austin’s quirky personality and culture are part of what makes SXSW so much fun. Take some time to try new restaurants, eat at food trucks, and wander down 6th Street in the wee hours of the morning. If you don’t try some good BBQ by the time you’ve left Austin you will die an emptier person. I’m also a beer fan and heartily recommend the Ginger Man to hang out and catch your breath. If you’re an author looking to explore the digital side of things at SXSW, check out the best SXSW sessions for authors over at our ePublish Unum author site. I’m easy to find on Twitter or Google+, and will be running all over the place. Give me a shout or say Hi if you make it out to South-By!